The Senators took part in their last Western trip of the season, facing off against an all-Canadian lineup. They were coming off of a two-game winning streak when they shut out the St. Louis Blues and defeated the Toronto Maple Leafs. But they fell to the Vancouver Canucks 7-4 and the Calgary Flames 5-1 before beating the Edmonton Oilers in overtime 4-3. There was lots of action on and off the ice for the Senators this week, here are the notable headlines and stories. 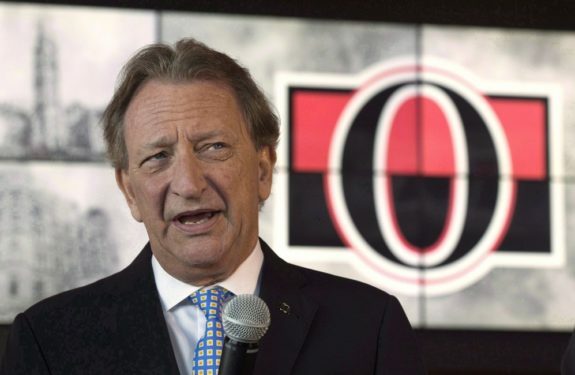 Senators owner Eugene Melnyk made headlines again after speaking to the media in both Toronto and Ottawa. There were numerous topics discussed, from Mayor Jim Watson to TSN’s Ian Mendes, all of which were met with scrutiny from the Ottawa media and Senators fans. In regards to Mendes, Melnyk didn’t name him specifically but referred to an incident where the TSN radio host asked general manager Pierre Dorion to listen to a recording of a taped message from a concerned fan. Melnyk referred to this as “bush-league”. 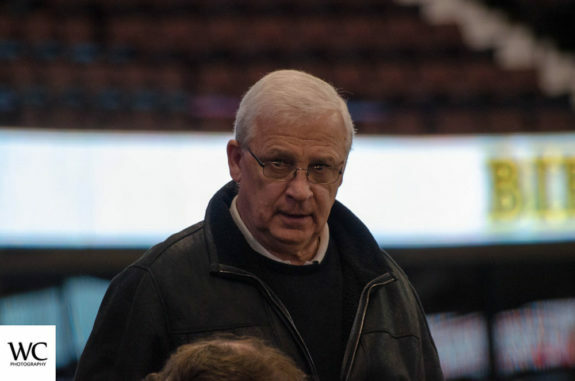 Mendes is beloved by Senators fans, the citizens of Ottawa and other sports broadcasters, who rushed to the aid of Mendes who took the high road after hearing the Senators owner’s comments. The carnage didn’t stop there, as Melnyk attacked his own fanbase as well. When asked about the Senators fans anger towards him, Melnyk said that he ignores “99 percent of the fan vitriol on social media,” saying that the Senators “tripped up one such fan, who turned out to be ‘some 12-year-old in Toronto.” He also said that the team needs to find it’s “real fans”. For a fanbase that is already pushing back against the organization, the Melnyk’s comments will further alienate them. If they have any hope of regaining the trust of their fans, Melnyk needs to be very careful with his comments. Although that seems unlikely given his track record. It seems that whenever there are negative headlines about the Senators, they come out with more headlines very quickly. 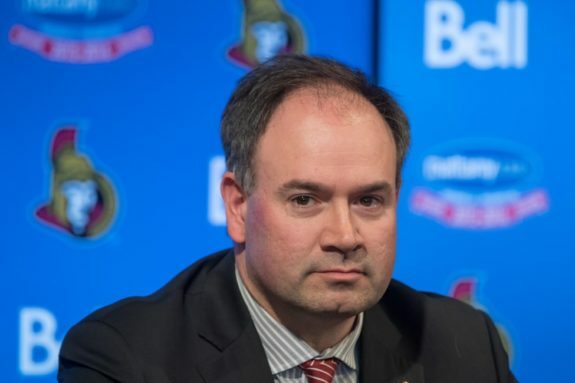 That was the case after the Melnyk interviews, as the team announced that they are searching for a new president of hockey operations to support Dorion. This position was last held by Bryan Murray in 2016 before he retired. This is a big decision for the team as they continue their rebuild. It’s known that the Senators have a very small front office, and any position they can fill is a step in the right direction. Senators veteran Jean-Gabriel Pageau was suspended for one game this week for boarding Vancouver Canucks defender Ashton Sautner. Pageau received a two-minute minor penalty on the play, but the NHL’s Department of Player Safety felt more was necessary. This was Pageau’s first suspension in his NHL career, coming after 360 games. Prior to the suspension, the centreman had three goals and 10 points in 31 games. He missed a large part of the season due to an Achilles heel injury suffered in the preseason. Sportsnet’s Elliotte Friedman reported early in the week that the Senators are actively trying to sign Josh Norris to an entry-level contract. As he still has two years left in the NCAA with the University of Michigan, the team is looking for him to leave early to join the big club. 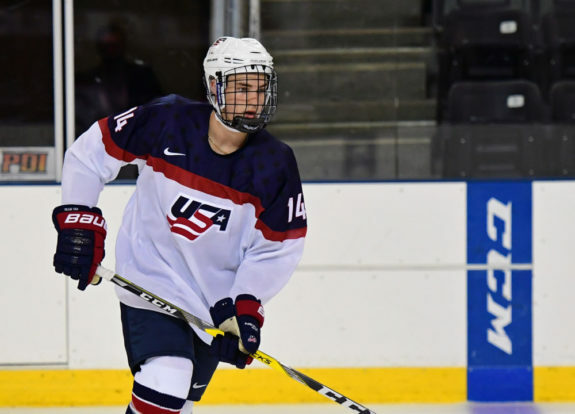 Norris was having a stellar season in Michigan before an injury at the 2019 IIHF World Junior Hockey Championships required surgery and knocked him out for the rest of the season. At that time, he was second on the team in points with 19 (10 goals, nine assists) in 17 games. He had also just been nominated for the Hobey Baker Award. With Norris missing the end of the season, the move seems strange. The Senators are just finishing up their first year of a rebuild and will likely not be good next season either. Norris has now missed some crucial time that would have helped his development. He could use some more time in the NCAA to succeed and continue to grow before he hits the professional level. The Senators now return home, shifting to a four-game homestand, three of those coming this week. They’ll face off against the Buffalo Sabres, Florida Panthers and participate in the Battle of Ontario for the last time this season against the Maple Leafs.